Eat less calories. Feel fuller. It sounds like a sales trick, but it’s as simple as… soup. 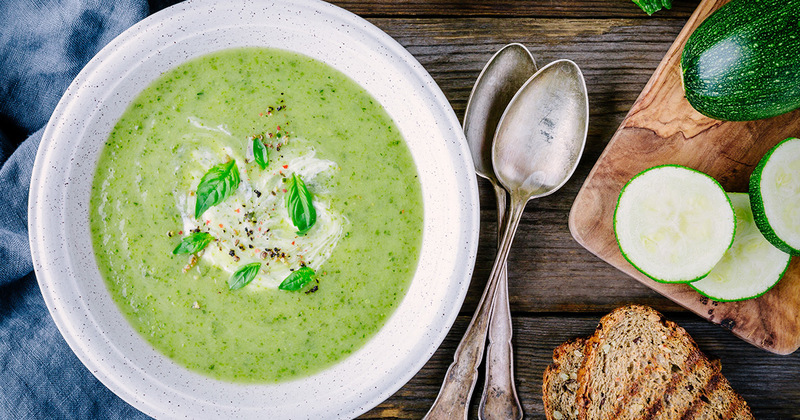 Packed with veggies and delicious flavours, soups can be ‘souper’ nutritional - from helping maintain energy levels to getting in those all-important vitamins and minerals. We’ve put together three delicious vegetable soup recipes, loaded with fiber to help stave off unwanted cravings. So, rustle up a batch and reheat throughout the week for effortless, tasty lunches that will help you on your weight loss journey. 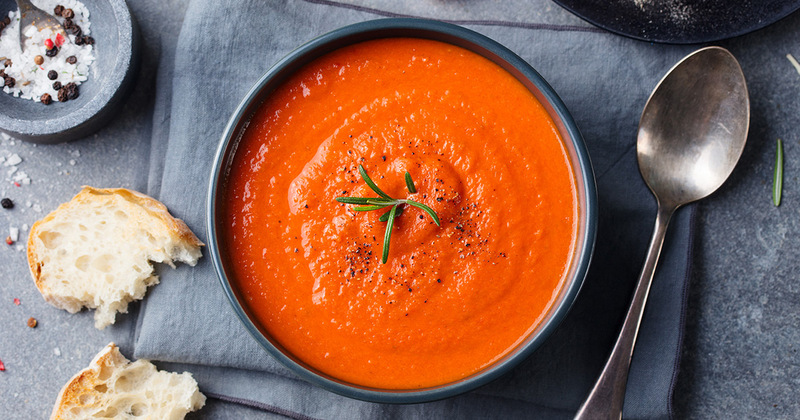 SOUP HACK: Add a sprinkle of Cayenne Pepper to a bowl of soup to truly warm the bones on chilly days. According to Health Line, tomatoes are the major dietary source of the antioxidant lycopene, which has been linked to many health benefits, including reduced risk of heart disease and cancer. This tasty dish is quick to make and loaded with tomatoey goodness! Heat the olive oil in a large saucepan. Add the onion, celery, chili and garlic. Cook over medium heat until softened. Add the tomatoes, water and stock. Bring to the boil. Reduce heat to low and simmer for 20 minutes, stirring occasionally. Liquidize the soup in a blender or use a hand blender. Serve. Did you know that broccoli is a source of Folate? It’s necessary for the production and maintenance of new cells in the body (Healthy Eating) and this recipe is sure to get plenty into your system. 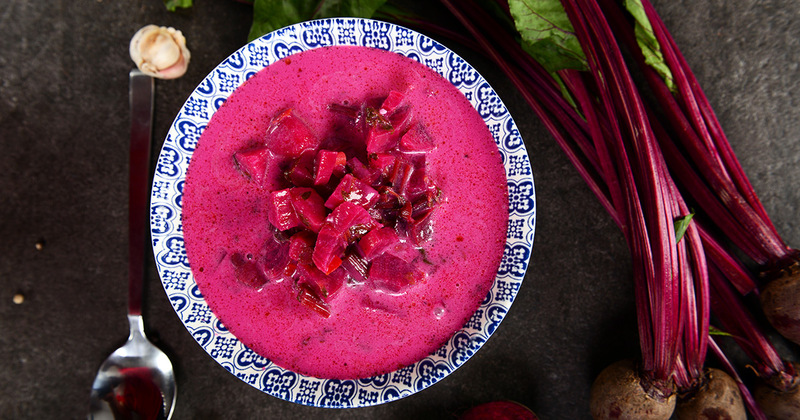 According to BBC Good Food, beetroot is rich in fiber, bringing favourable effects on bowel function, which may assist in preventing constipation and help to lower cholesterol levels, too. Place the halved tomatoes in an ovenproof dish. Throw over the garlic and drizzle over half the olive oil. Roast them for 25-30 minutes at 190°C/375°F/Gas mark 5 until soft and pulpy. Rub through a sieve to remove the skin and pips. Heat the remaining oil in a pan and sweat the onion for a few minutes until soft. Add the beetroot and the stock and bring to the boil. Season lightly with salt and freshly ground black pepper. Simmer gently for 7-10 minutes until the beetroot is tender. Stir in the tomato purée, transfer the soup to a blender and process until completely smooth. Reheat the soup until thoroughly hot but not boiling. Divide between warm bowls and crumble over a little feta into each bowl.